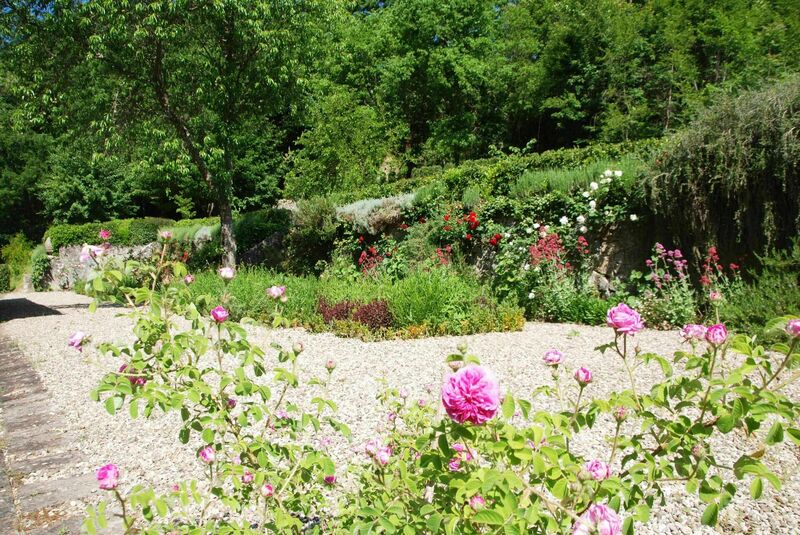 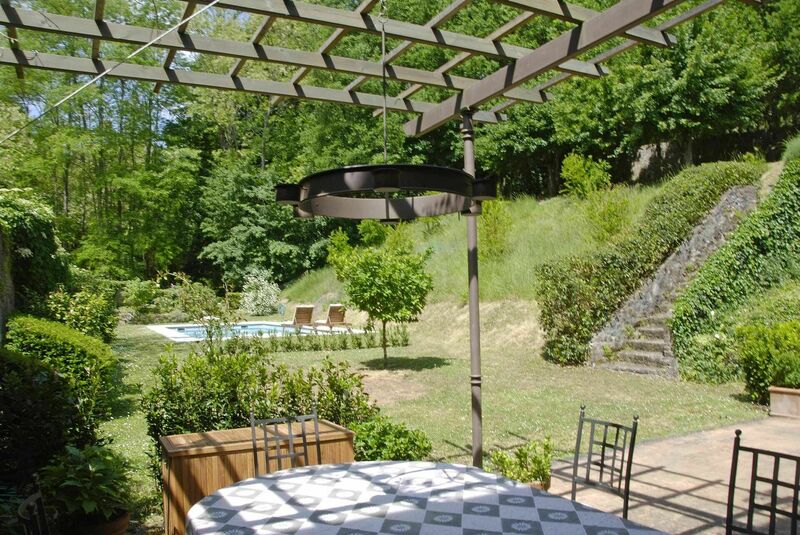 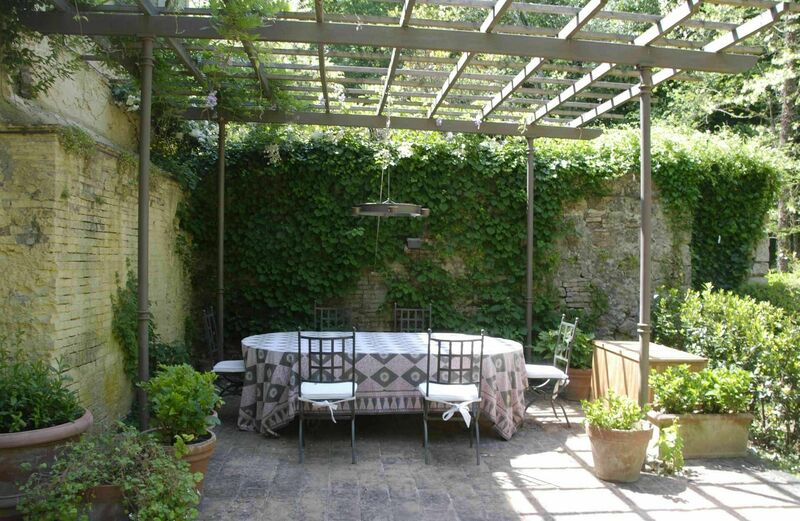 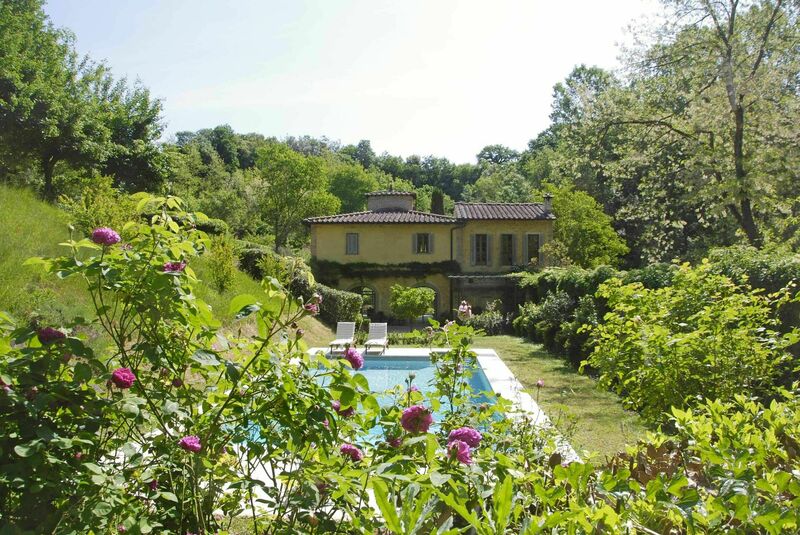 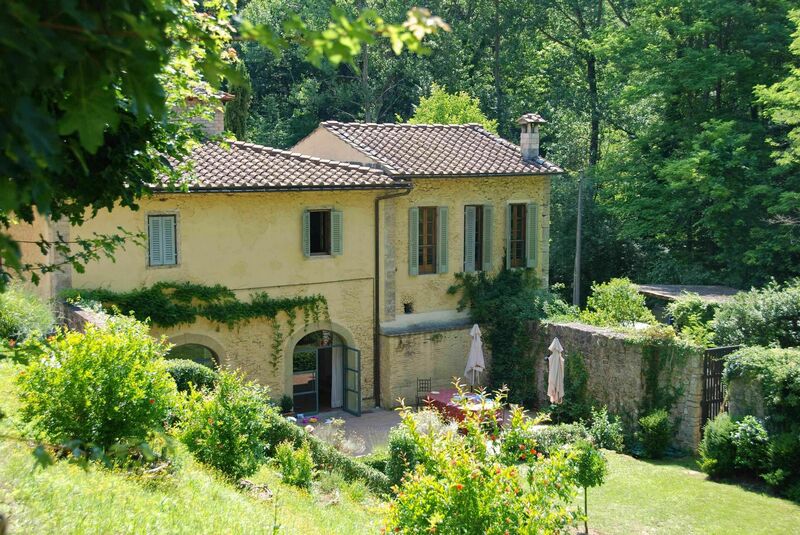 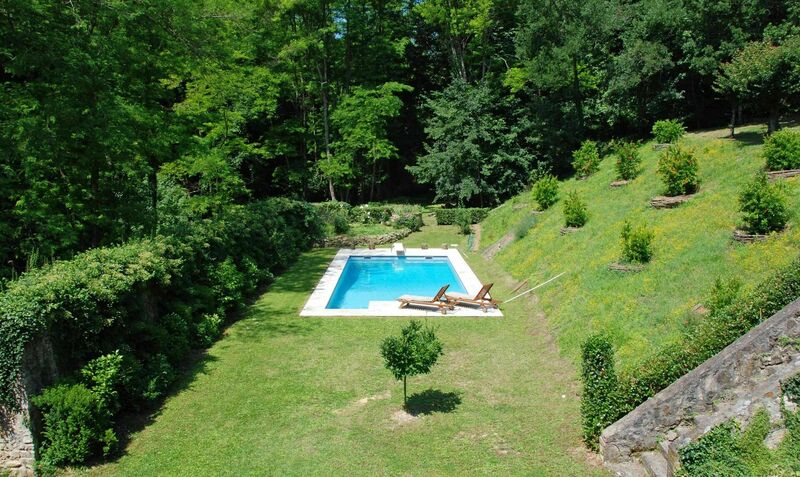 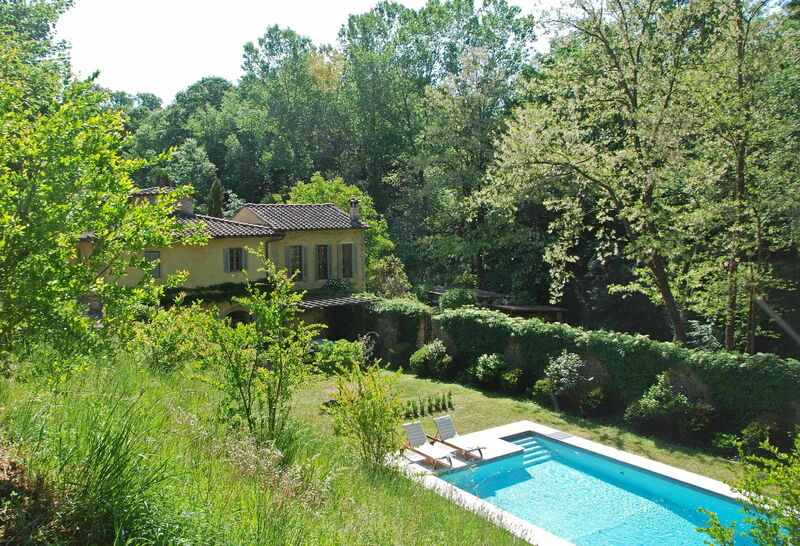 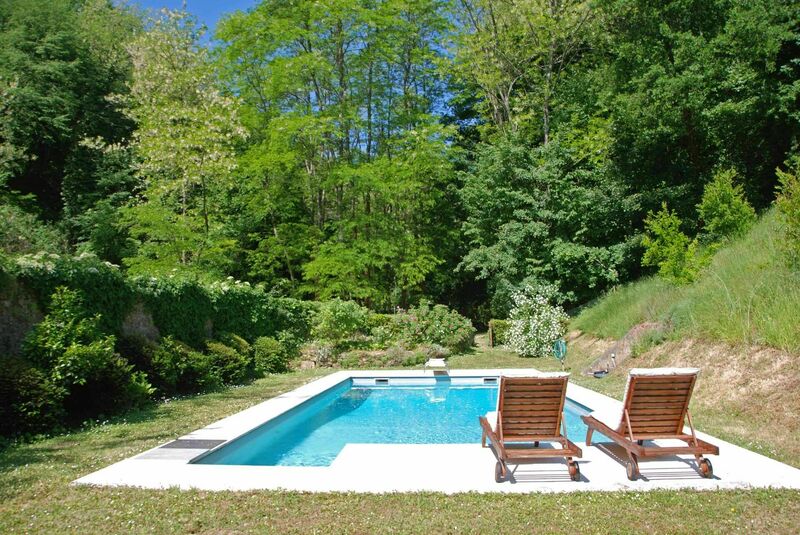 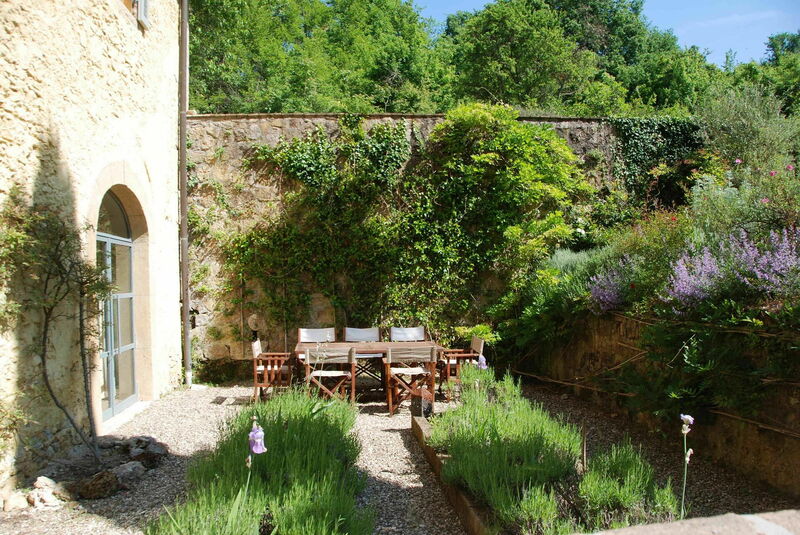 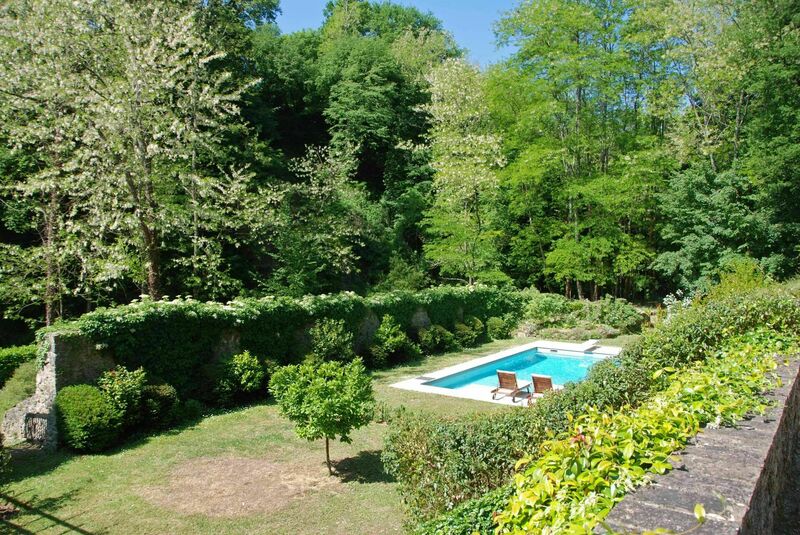 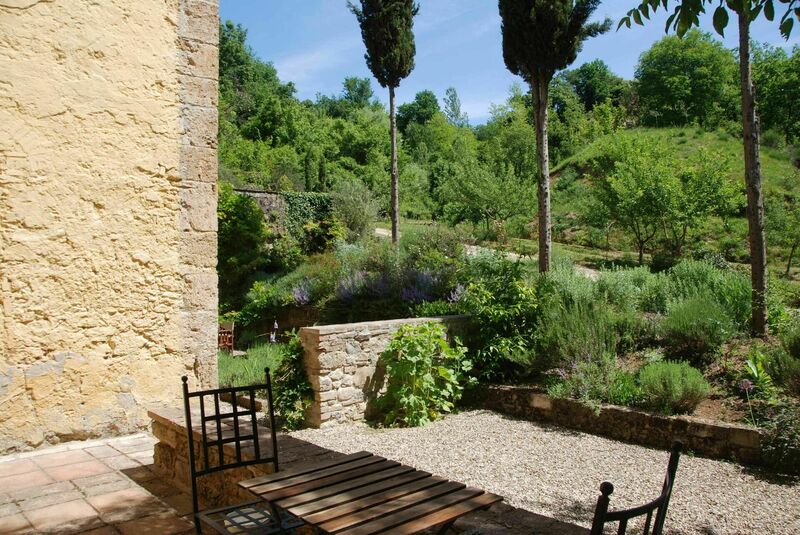 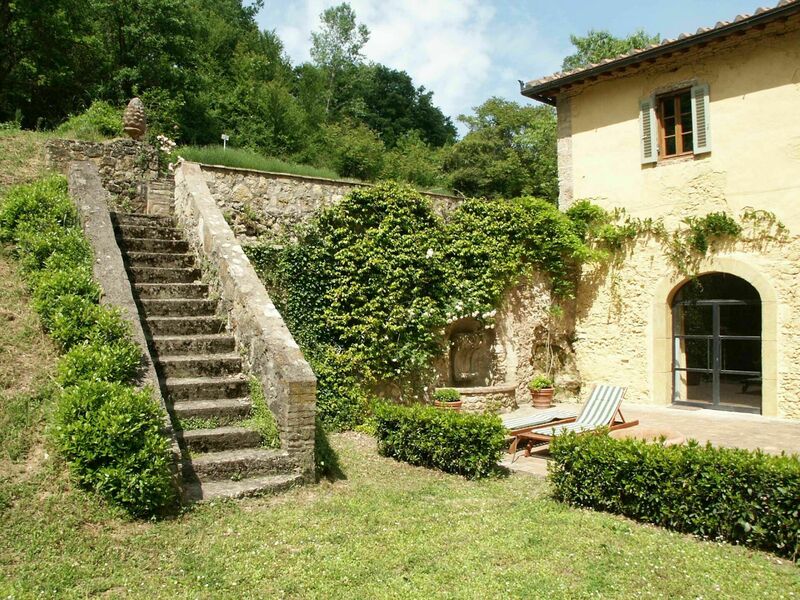 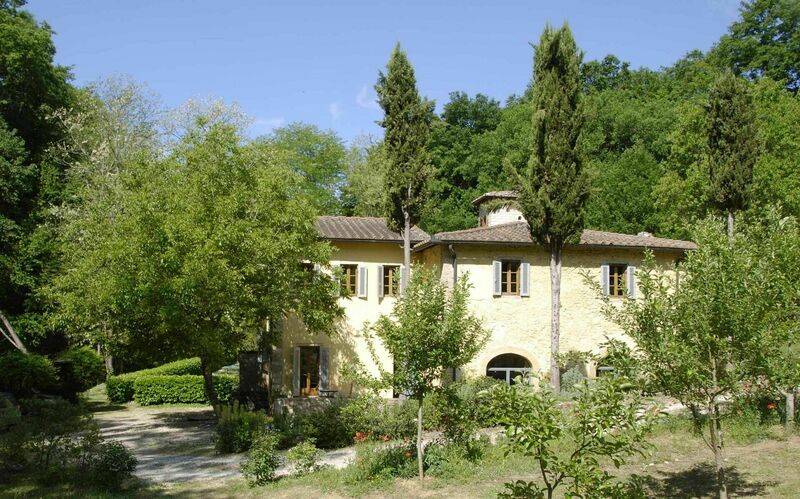 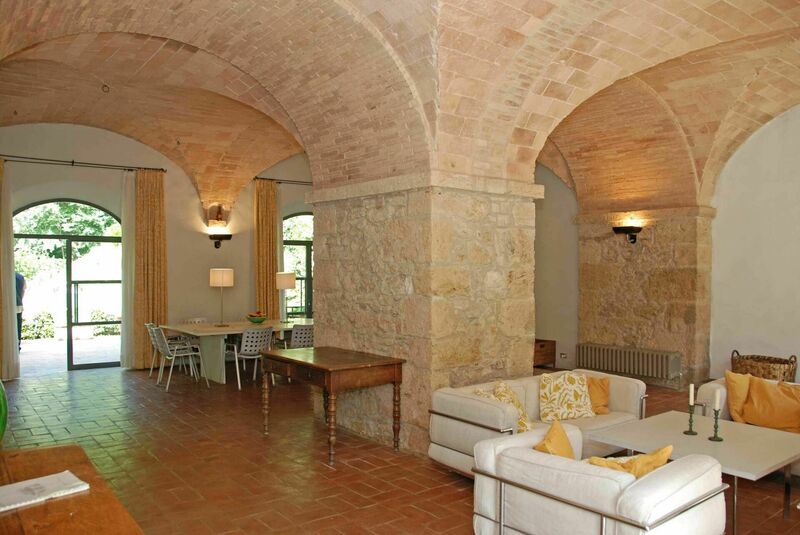 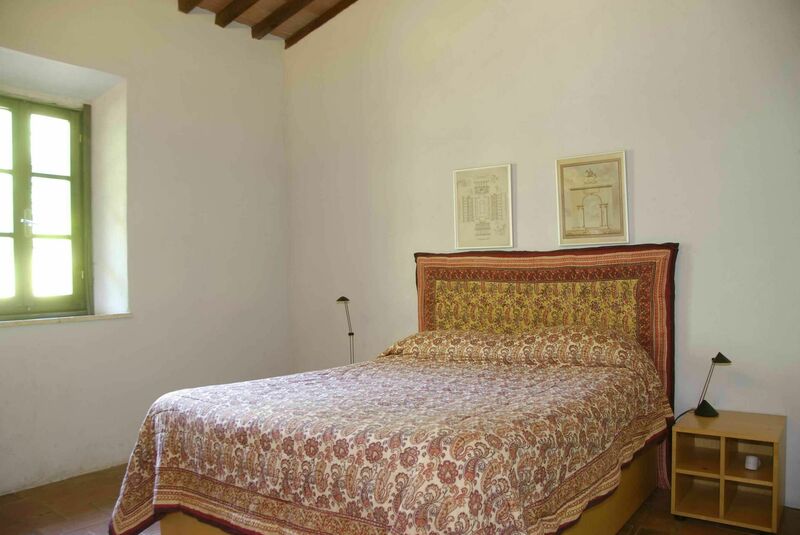 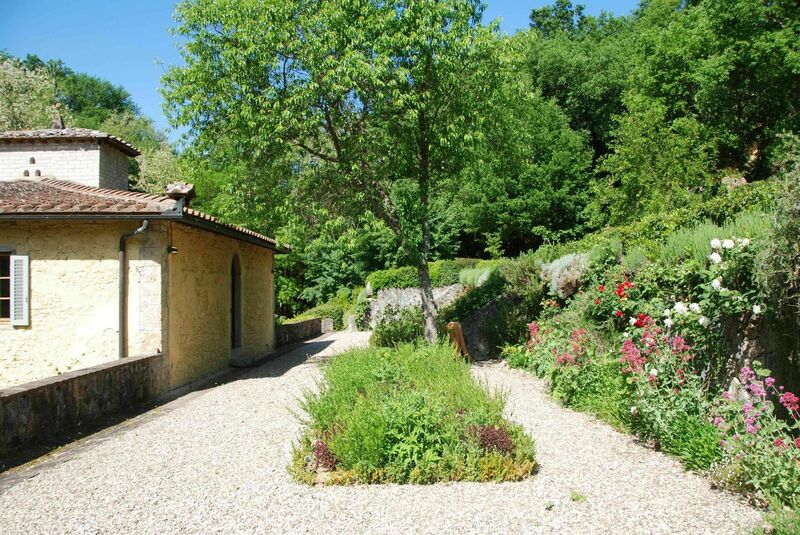 This lovely property is located only 5 Kms from the centre of San Gimignano, famous for its beautiful towers. 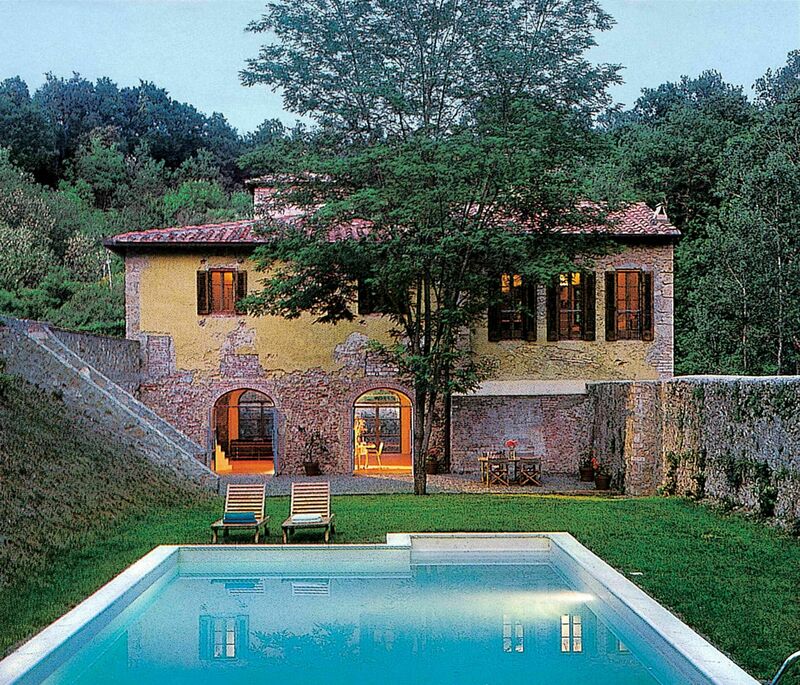 This is the place for those who look for peace and quiet, who like nature with just the sound of birds. 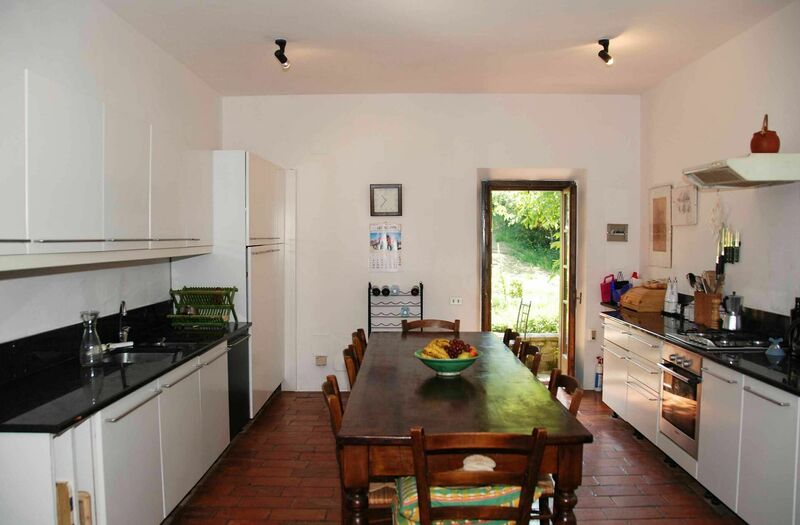 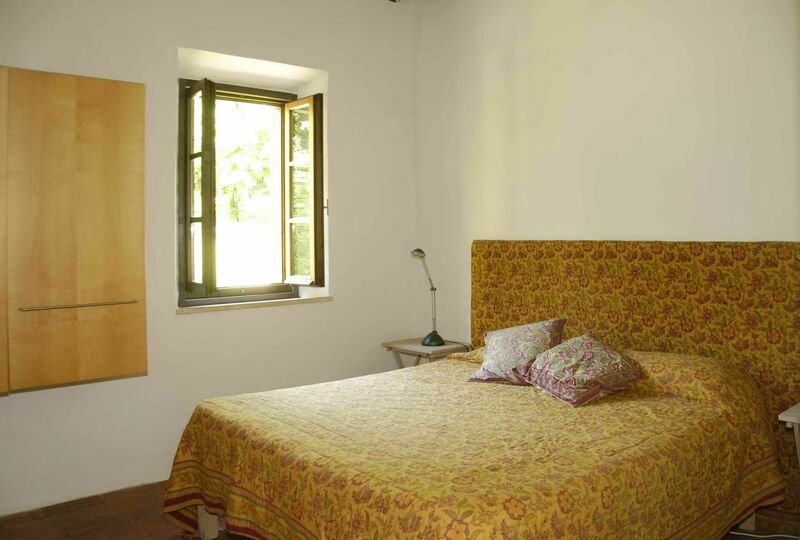 Situated at less than two miles from San Gimignano, between Siena and Florence, this house, which used to be a watermill, lies in its own small valley, at the end of the path to the stream. 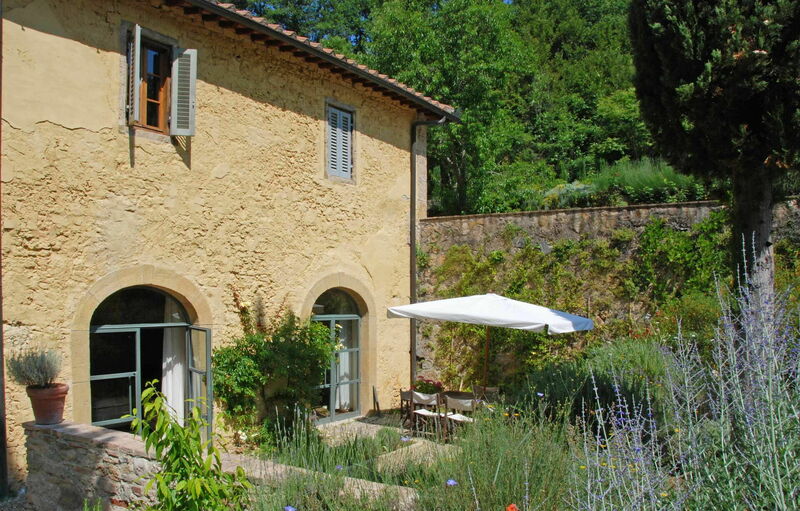 There is no other house in sight, no noise at all, there is no TV, it is (by some 200 meters) outside the network for mobile phones. 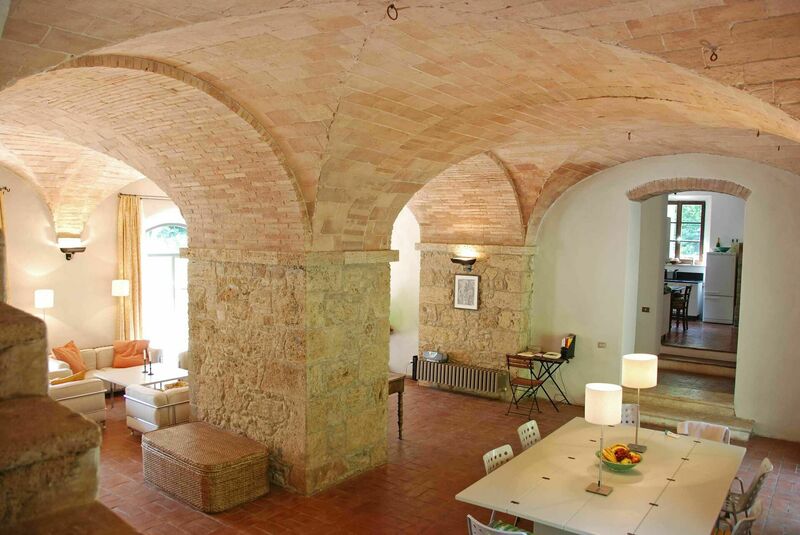 It has been restored by a Scottish architect who created a pleasant contrast between the wonderful antique brick vaulted ceilings and the contemporary design of the furniture and interior. 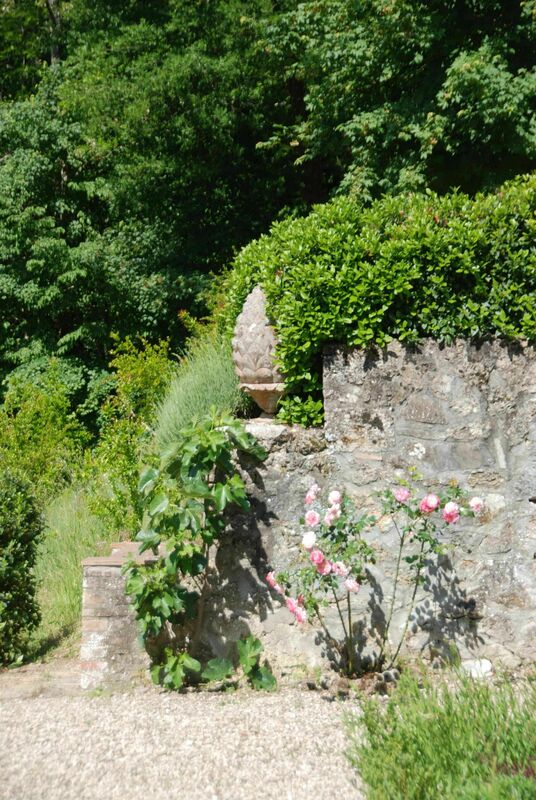 The one-mile drive is not suitable for cars with low suspension or for nervous drivers. 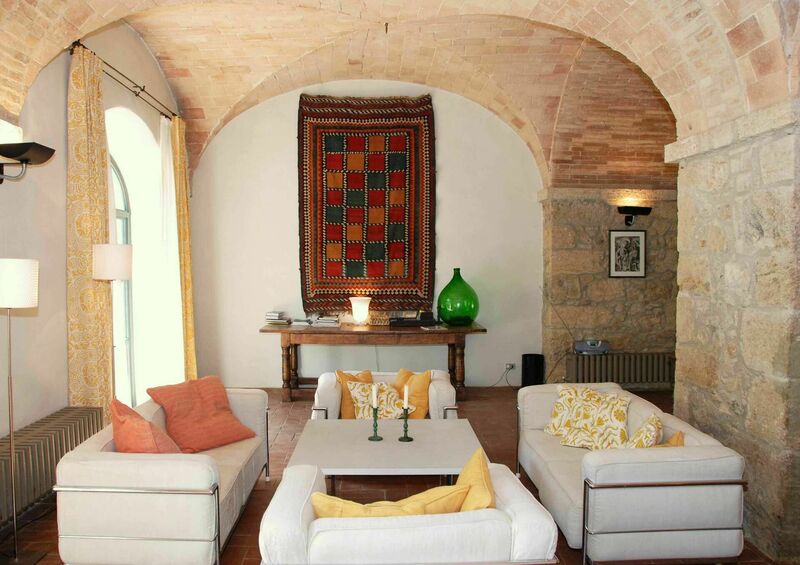 Cleaning service included 3 hours. 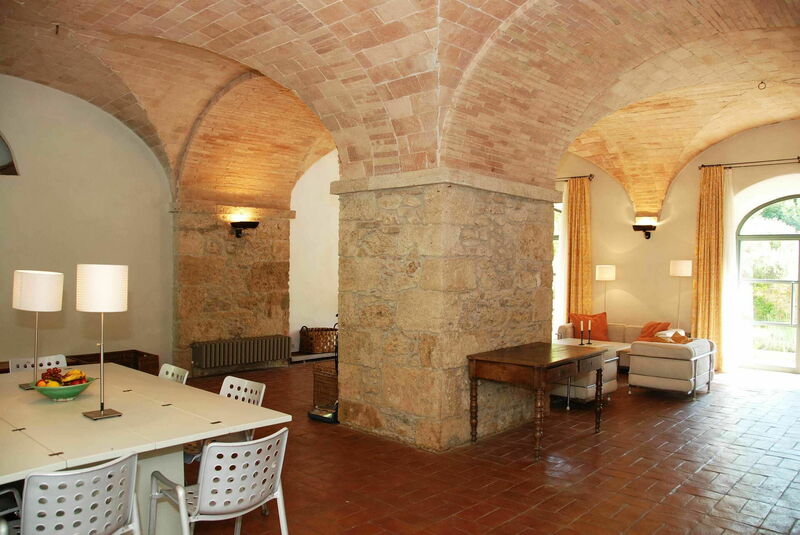 Large vaulted sitting room opening onto the garden; kitchen/breakfast room. 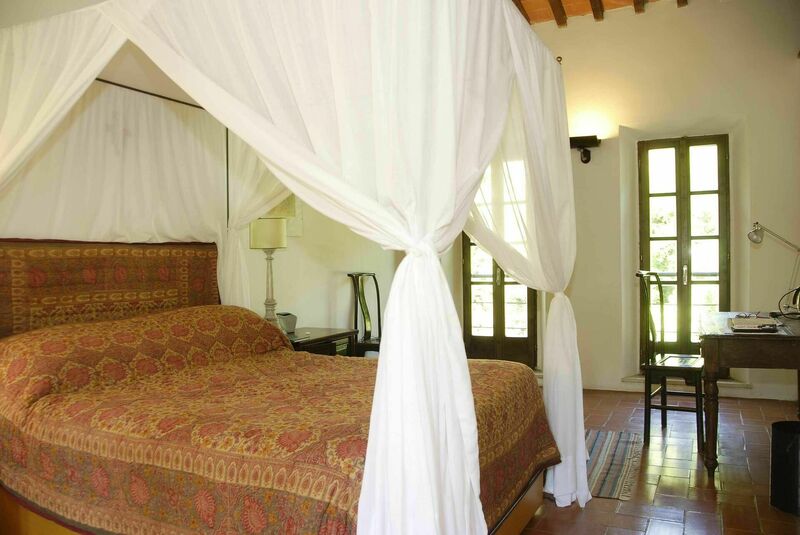 Entrance; master bedroom with en-suite bathroom (bathtub); twin bedroom; 2 double bedrooms; bathroom (bathtub and separate shower) and utility area; bathroom (shower).